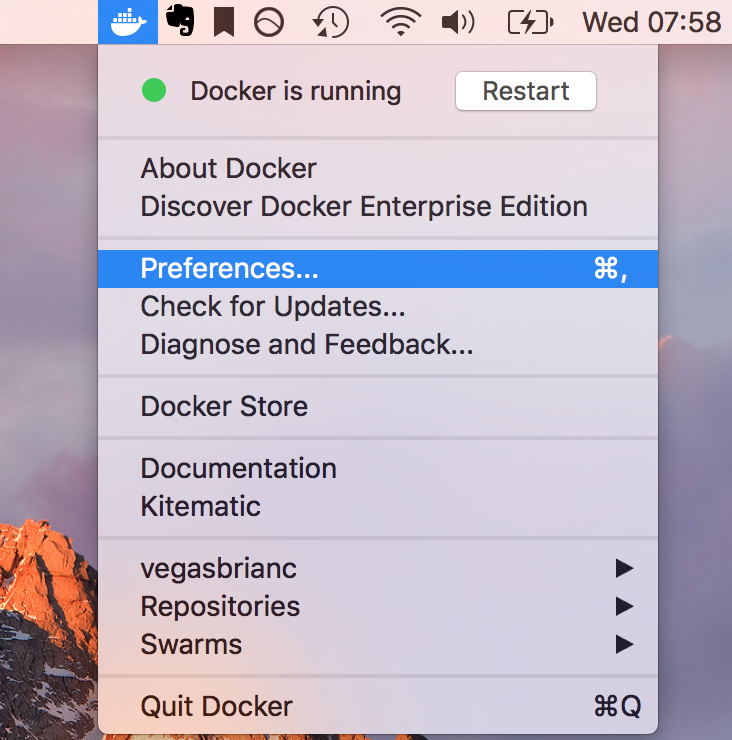 Monitoring is now baked into Docker for Mac/Windows by default. How cool is that? No longer do we need to guess about the performance of our development machines or test environments. Some may ask the Million Dollar $$ question as to why we would want to monitor our local installation. For starters, I am sort of monitoring mad and monitor everything. Second, in order to truly understand your environment, we need to dissect what is running and how it's running. Finally, it is a good practice to understand your environment and if it is impacting the performance of your workload or not. 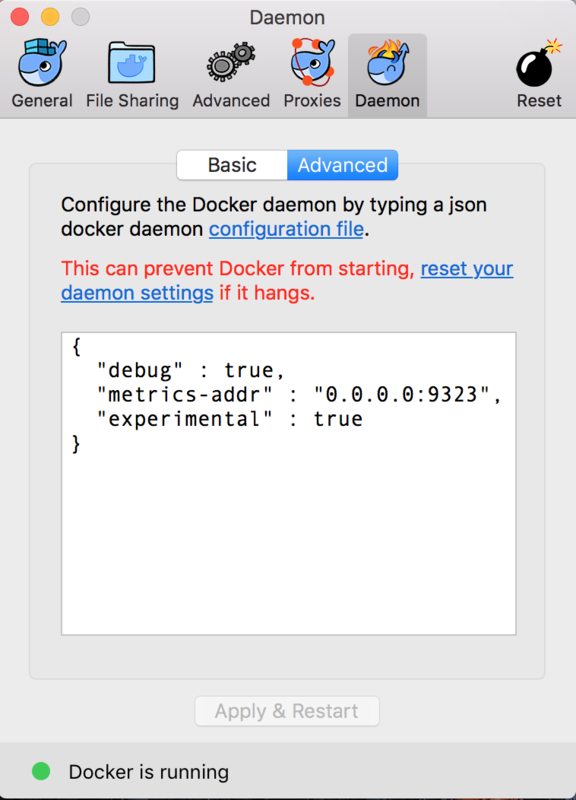 Our local Docker for Mac/Windows installation is now creating Prometheus formatted metrics. Next, let's start-up a Prometheus stack and consume these newly created metrics. 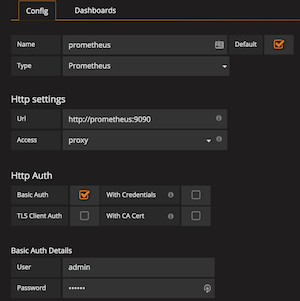 Clone the Prometheus stack locally: git clone https://github.com/vegasbrianc/prometheus.git . 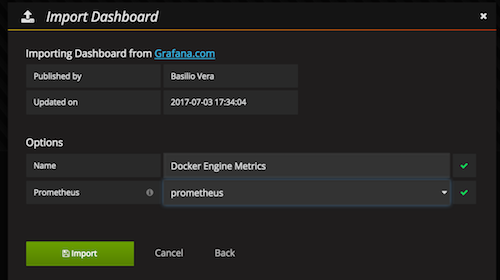 We have set up the Docker Daemon log its metrics, configured and launched a Prometheus stack to consume these metrics, and finally imported a Grafana dashboard as a starting point. You should now be able to create some interesting graphs and reports based on your installation.